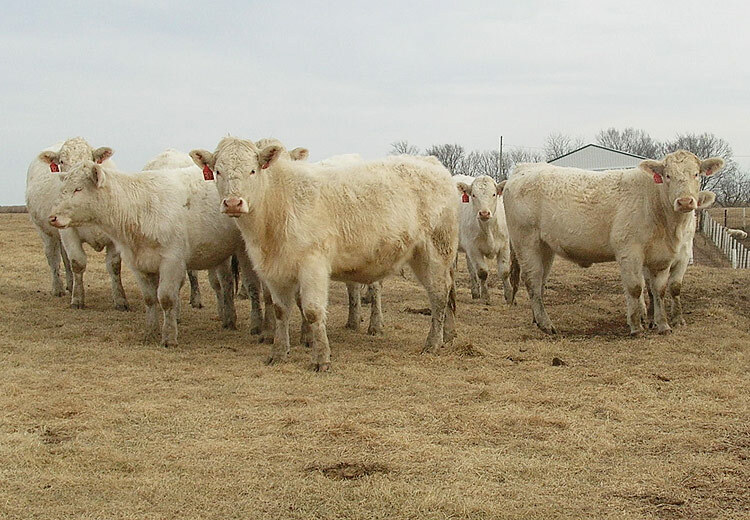 e began our operation in 1965, with the purchase of 40 acres of pasture & hay ground in south central Iowa (cow country). 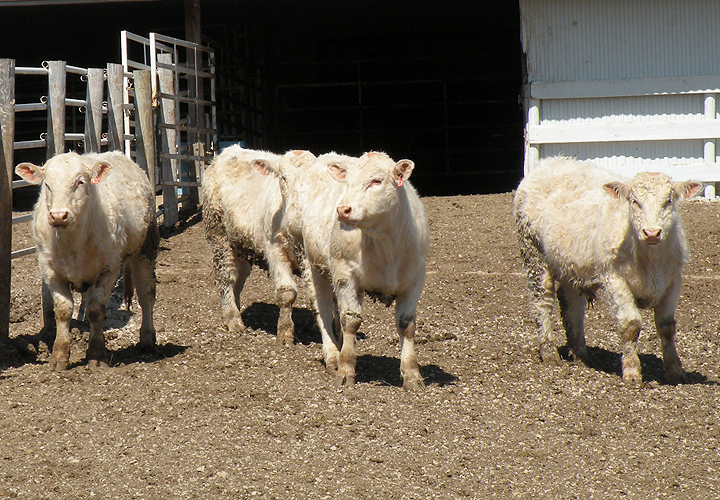 acres, & then purchased 10 more half-blood Charolais cows along with a Charolais bull and began raising & keeping replacements. 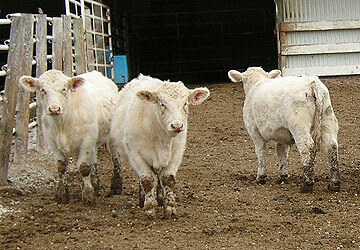 head of spring-calving cows. Show prospects, bulls, and bred heifers for sale year round. 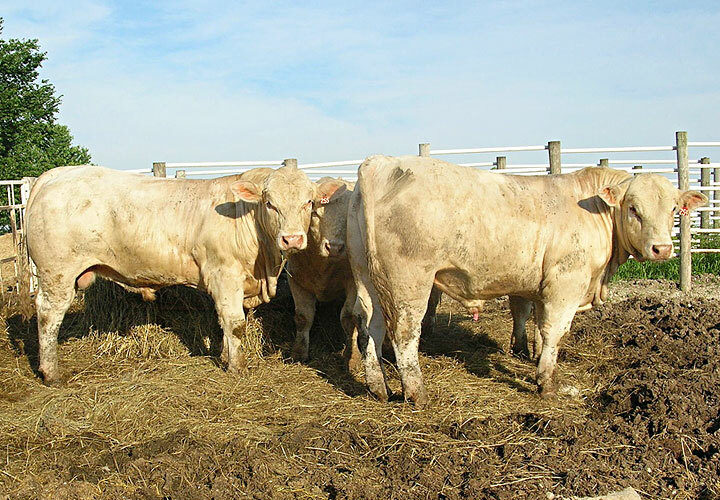 PB BULLS for sale year round – various ages. Call Gene at 641.449.3488 for more information on our bulls. 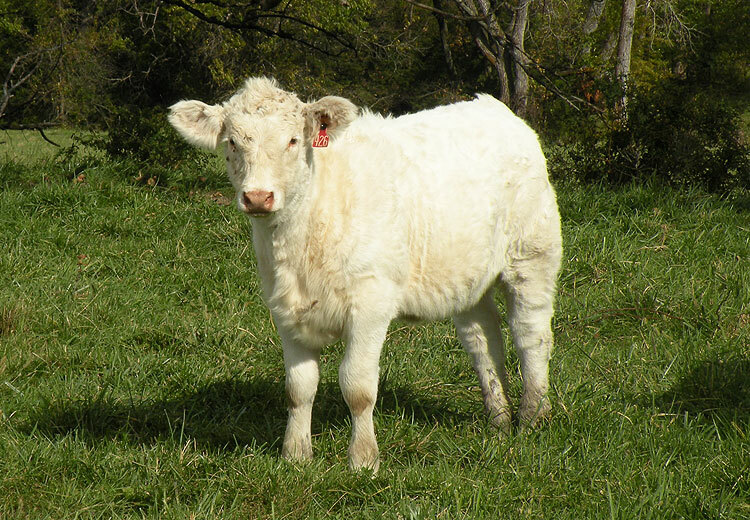 Get more pounds for your money (more ### for your $$$), as well as calving ease. Our purebred bulls are a great investment – and keep in mind, the bull IS half your herd. Thick, rugged, and ready to go to work! SHOW PROSPECTS for sale every fall and winter. 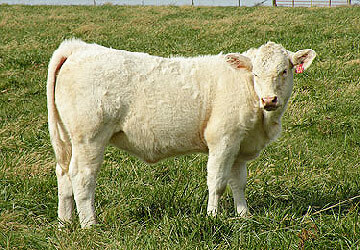 Purebred Charolais – most birth dates range from March to June. Come tour our pastures and lots to find your next show prospect! Contact Gene at 641.449.3488 for further information. 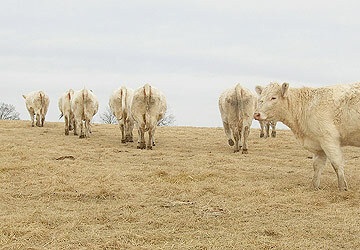 Calves pictured with no "frills" – simply in their natural pasture conditions alongside their mamas. 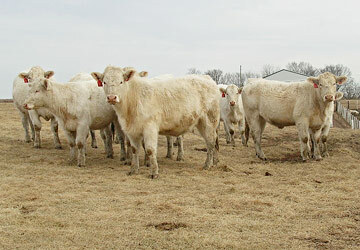 BRED HEIFERS for sale every fall and winter. Contact Gene at 641.449.3488 for more information on our females. A limited number of breds will be available this year – please call Gene for more information. Wanted to let you know that our calves scaled 100 pounds higher for the second year since we bought your bulls in the spring of 2016. I think this shows that your genetics and everything you're doing to produce quality purebred bulls is a success. Keep up the good work - thanks! 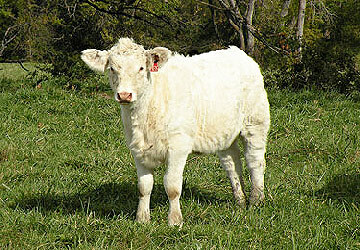 Hi Gene - The heifer I purchased last year, 022 "Vanna" had her calf yesterday. 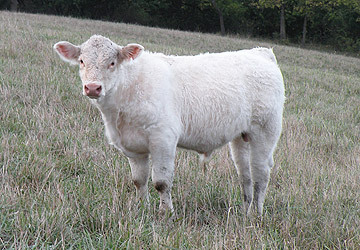 He is by ABS bull "Doc Silver" and was about 70 lbs. He came easily, jumped up, and is doing very well. Good looking calf - Mamma and baby are both healthy and happy! 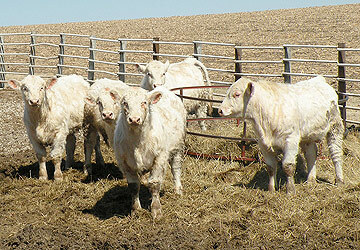 Gene - I am very happy with this group of Charolais heifers. 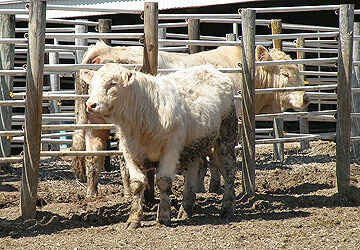 I want to thank you for the honesty with which you sold these cattle. I appreciated working with you, and I hope we can do business again in the future. I like the cattle even more today than when I first saw them. They truly are a testimony to your breeding program. 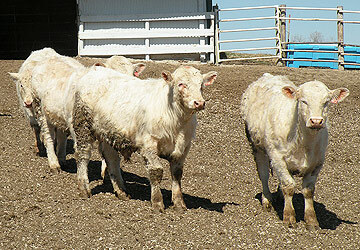 We sold all of our calves last week in Denison. They were right off the cow with NO vaccinations or implants. 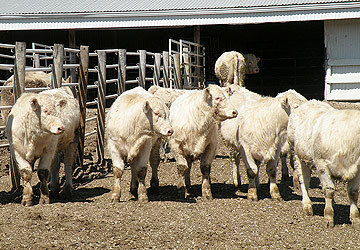 Our herd of 92 head averaged 592# after a 200 mile ride. We did creep them this year for the 1st time, and our weaning weights went up 60# per head. Before we started using your bulls, our calves averaged only 490# at this same time of year. 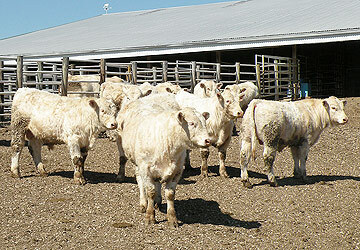 We also had a group of 20 steers that averaged 714#. Needless to say, we were very pleased! 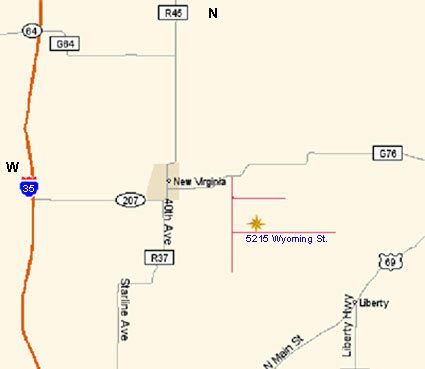 Just wanted to let you know in case you would ever like a referral on your bulls. 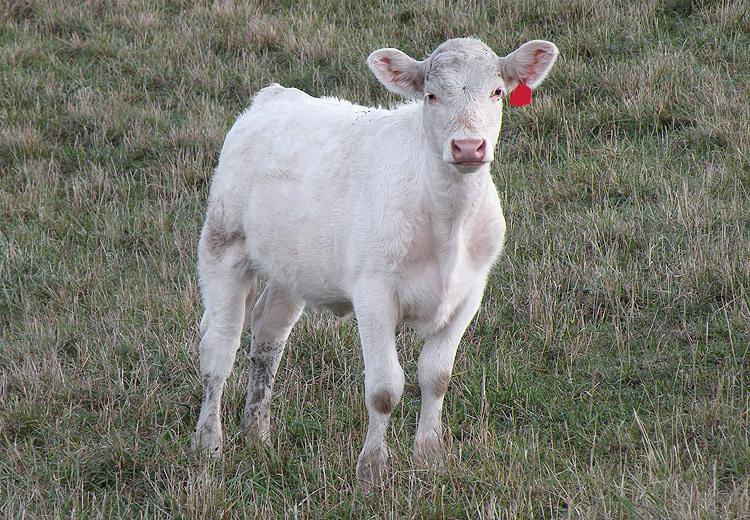 Craig Dozark of BDB Cattle Co.
Gene - Just wanted to let you know that B538 had a nice bull calf this morning. He weighed 85-90 lbs, and she had it all by herself. Robbi and I could not ask for anything more. We love the Charolais - and their calves do tremendous! Thanks for everything.